A woman's body is found in Ireland's most notorious body dump area, a locality in the Dublin mountains where a number of women have disappeared in the past. The victim is from an exclusive gated development in the suburbs - where the main suspect in the vanishing triangle cases, Derek Carpenter, now lives. It seems like the past is coming back to be repeated in the present. The victim is a solicitor by profession and the police wonder whether one of her clients could be involved. DI Jo Birmingham is leading the investigation and doesn't believe the case is as predictable as her superiors believe. Her husband Dan was part of the original investigation team; is she trying to protect her fragile domestic peace? The one person who could help her crack the case, Derek's wife Liz, is so desperate to protect her family that she is going out of her way to thwart all efforts to establish the truth. Can both women emerge unscathed? This multi-faceted story weaves the on-going search for the perpetrator of the crime alternating with the desperate goings on that occurred at the News Of The World newspaper before it ceased to be published. Niamh O'Connor has written two previous books with the protagonist DI Jo Birmingham that I have enjoyed reviewing and when not researching and writing her books she is the true crime editor for the Sunday World, Ireland's biggest selling Sunday newspaper. A job in which she interviews both high profile criminals and their victims which means she really knows the world that she writes about. This third book of hers I found a real pleasure to read as it had many sub-plots to keep me guessing and I found the story immensely gripping and fast moving and the pages just shot by. It was long but it was very well plotted with many twists and turns and I look forward to reading her future books as much as I enjoyed this one. Recommended. 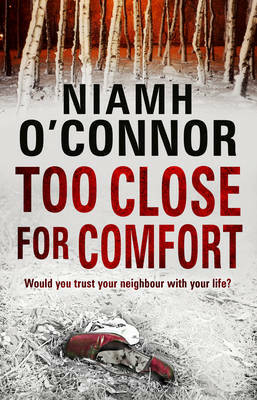 Read another review of TOO CLOSE FOR COMFORT.